With the economy beginning to show some signs of life, so is the business of systems and cubicles. There are bargains to had in new cubes and a tremendous amount of high quality used inventory also available. We work with the top and manufacturers and liquidators in the business. We specialize in contemporary office furniture and unique, modern modular office furniture, office cubicles, office partitions, office workstations, panel systems and modular walls. 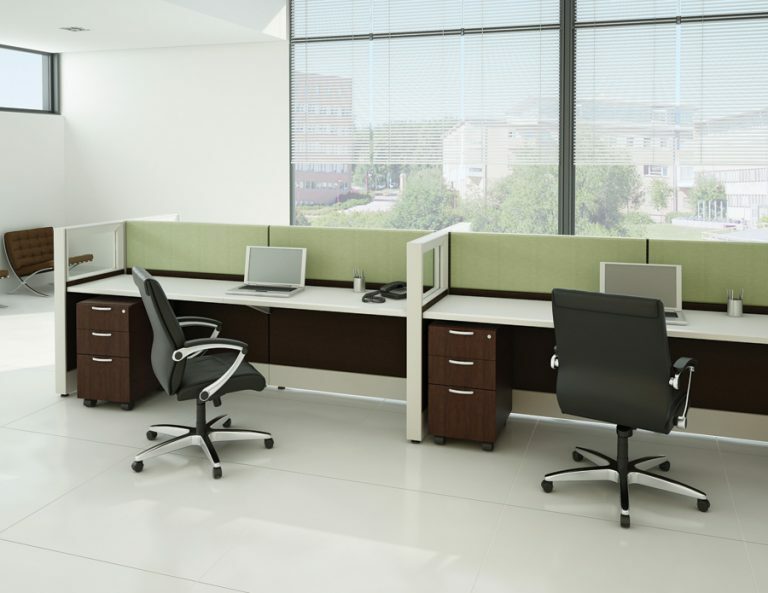 We also have custom capabilities yielding unique modern office furniture designs for modular office furniture, cubicles and office workstations using various materials such as laminate, RTF, 3form, glass, acrylic, metal and wood. The workstation panels, office partitions and frames come in various heights and widths to create the office cubicle size that is optimal for your space. Storage options are also available on our modular office furniture products, such as stationary and mobile filing cabinets, lateral files, overhead storage shelves, binder bins and bookcase storage. We have Quick Ship capabilities on a number of our modular office furniture product lines as well as many of our Modern Office Furniture products. If you need assistance in developing a modular office furniture plan for your commercial office space. Call us and we’ll get you a great deal, with discount prices on cubes and installation.